One of my happiest childhood memories is of the many hours I spent in the children’s reading room of the Free Library at Logan Square in Philadelphia, PA, where I grew up. Way back then, I thought there could be nothing more wonderful than to write a book someone would love as much as I loved my favorites. I still think so. And I still love to visit libraries. 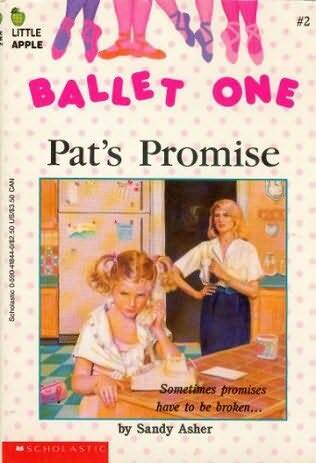 I began creating plays in second grade at James G. Blaine Elementary School. That was my idea of “let’s pretend” — making up stories to be acted out, telling my friends where to stand, what to say, and when to say it. I guess they enjoyed it as much as I did, because we rehearsed a lot and performed for our class and, eventually, the entire school. My teachers were always encouraging, even those I lampooned mercilessly in my script for the senior class play, “My Fair Bear,” at Germantown High. They let me graduate anyway. 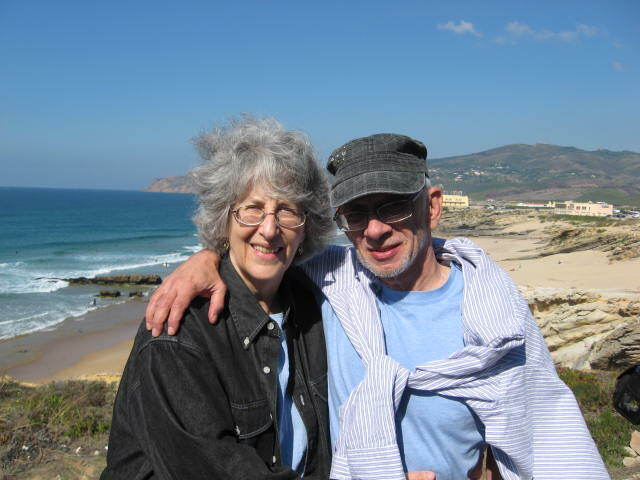 My professional writing career began with the publication of poems in literary journals and stories, poems, and articles in children’s magazines, including Highlights for Children, Humpty Dumpty’s Magazine, and Weekly Reader. The playwriting continued, too, with several plays in Plays Magazine. My first book for young readers, SUMMER BEGINS, was published in 1980. 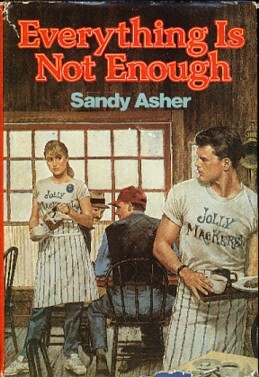 Since then, I’ve written 25 more — YA novels, chapter books for middle schoolers, and picture books for the very young. Three of my most recent picture books are about Froggie and Rabbit — TOO MANY FROGS!, WHAT A PARTY!, and HERE COMES GOSLING! But I don’t always write about frogs and rabbits. My newest picture book, CHICKEN STORY TIME, was published by Dial Books for Young Readers — and it’s about children and chickens. 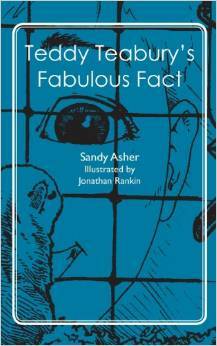 I’ve also brought one of my favorite chapter books back into print: TEDDY TEABURY’S FABULOUS FACT, inspired by the true story of our gerbil’s escape out of the bathtub and down the heat vent. Read the book to find out how he was rescued! You can find a copy at Amazon.com. 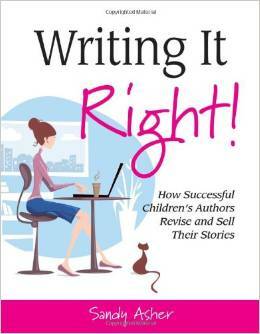 My latest anthology of fiction is for those who want to write for young readers as well as for young writers themselves: WRITING IT RIGHT: How Successful Children’s Authors Revise and Sell Their Stories. It’s available here: https://www.instituteforwriters.com/writing-it-right.html. I’ve also edited one book of non-fiction, AMERICA — THE OWNER’S MANUAL: How Your Country Really Works and How to Keep It Running, written by my husband and history guru, Harvey Asher. It’s based on his blog of the same name at http://www.americatheownersmanual.wordpress.com. After reading dozens of plays based on real people and events and choosing excerpts for AMERICAN HEARTBEAT: True Stories Told in Scenes and Monologues, I’m delighted to announce its publication by Dramatic Publishing Company. Read all about it at http://www.dramaticpublishing.com/p3832/American-Heartbeat:-True-Stories-Told-in-Scenes-and-Monologues/product_info.html. As Sandra Fenichel Asher, I’ve written over three dozen plays, including A WOMAN CALLED TRUTH, SOMEBODY CATCH MY HOMEWORK (inspired by the poetry of David L. Harrison), and an adaptation of Avi’s hilarious book ROMEO AND JULIET–TOGETHER (AND ALIVE!) AT LAST. My most recent plays include ARK 5, a futuristic re-imagining of the Joan of Arc story; WALKING TOWARD AMERICA, based on the memoirs of a dear friend who was a child witness to the hardships of World War II; an adaptation of George MacDonald’s classic THE PRINCESS AND THE GOBLIN; and KEEPING MR. LINCOLN, about one of our greatest leaders. Just for the record: “Fenichel” is pronounced FENN eh shell. A challenge at first, but easy when you know how! On December 5, 2014, Betsy Hurley, founder and director of the Lancaster Literary Guild (http://www.litguild.org), appointed me as the first Lancaster County Children’s Laureate. A Poet Laureate program had been in place for some time, but I was honored to start a new tradition of authors working under the Guild’s auspices to encourage literacy and creativity among the young people of Lancaster County. I served during all of 2015 and 2016, designing and directing programs that brought visiting children’s authors to Lancaster and running workshops that encouraged literacy and creativity. Most recently, with help from a grant from the Children’s Theatre Foundation of America, I’ve founded and now co-chair American Theatre for the Very Young: A Digital Festival, hosting full-length video recordings of performances for audiences aged 0 – 6 all over the country. Enjoy the work of more than a dozen companies at https://vimeopro.com/atvydigitalfestival/festival. Password: TVYDIGFEST. Harvey and I are the parents of two grown children and have three grandchildren. We live in Lancaster, PA, with our dog Gracie and cat Friday. 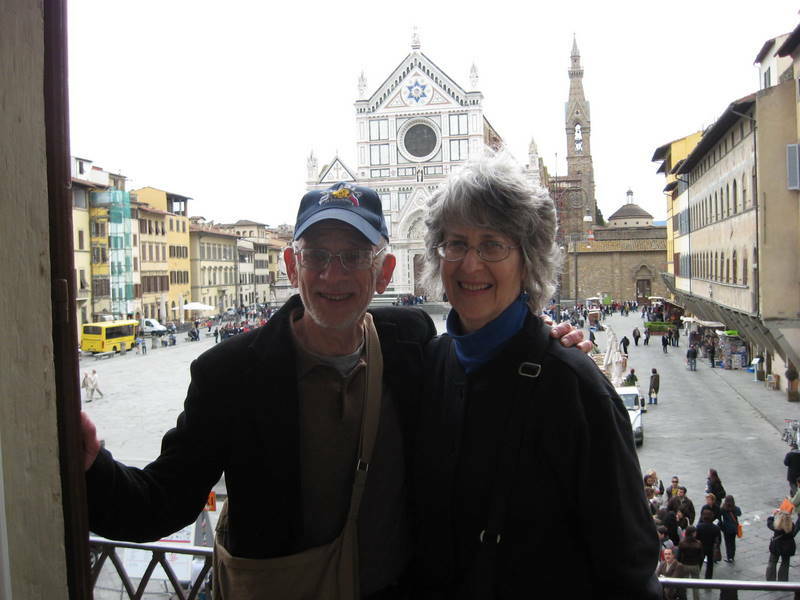 Harvey and I love to travel and have been fortunate enough to visit Canada, England, Scotland, France, Denmark, Russia, Latvia, China, Germany, Austria, Hungary, the Czech Republic, Italy, Spain, Portugal, Israel, Ireland, and Costa Rica — so far! WITH HARVEY IN ITALY . . . AND IN PORTUGAL. I’ve also visited schools, presented at conferences, and led writing workshops for children and adults from Anchorage, Alaska, to Amelia Island, Florida. I hope to continue doing so. Happy times!